Today, I will introduce some well-known clothing wholesale market in Guangzhou to you. As you may know, guangzhou is the biggest fashion wholesale center in China. You can get all kind of apparels here. If you are looking for jeans, please feel free to get through our products. We supply hundreds of fashion jeans in stock to worldwide,and we can produce according to your designs. 1. Guangzhou Zhanxi Fashion Wholesale Market. Zhan Xi Fashion Wholesale Market is very closed to the Guangzhou Railway Station and the provincial bus station. It is the clothing distribution center in Guangzhou and South China. It plays an important role in the China’s clothing wholesale market. Here you can find all kind of high quality products. ZhanXi clothing wholesale market have many high-performance , well-known brands. Most of the shops sell world famous brands. 2. Guangzhou Yulong clothing wholesale center. Guangzhou Yulong clothing wholesale center is located in Guangyuan Xi road. You can take GZ metro line 2 drop at Sanyuanli station. The wholesale center is just beside Sanyuanli metro station Exit D. There are many wholesale plazas along Guangyuan xi road. For example, Canan market, Tangqi Market etc. The products there are mindium class. Many affrican and mid-east people buying there. 3. Zhanqian road wholesale center. Zhanqian road wholesale center is opposite of Guangzhou Railway station. There are many fashion plazas around. You can find all kind of fashion clothing here. There are many foreigner owned shops. Here I list some famouse fashion plazas for reference. 1) Guangzhou BaiMa Clothing center, It is a well-known domestic wholesale market in Guangzhou. 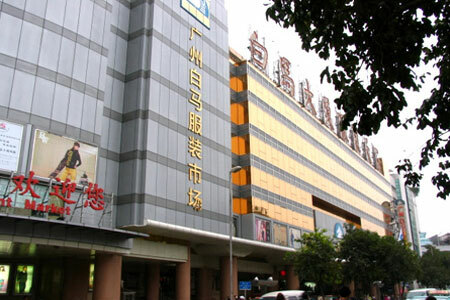 2) Liuhua Fashion center, It is a fashion wholesale center for foreign trade. 3)Fuli Building. Here you can find many fashionable clothing in stock. Many foreiners (mid east people) open shops here. 4) Changjiang fashion clothing center. It is a wholesale and custom ordering market. You can place custom order in the shops here. We have a store here. 4. Shahe Clothing wholesale center. Shahe Clothing wholesale center is in Tianhe district. This a supper big clothing market. Many goods are sold domesticly. Many chinese online shops purchase clothing from here. 5. ShisanHang clothing wholesale center. ShisanHang clothing wholesale center is a high quality fashion clothing wholesale center for chinese market. Most designs are following the korean styles. We are a professional jeans wholesaler and jeans manufacturer in Guangzhou, China. Please feel free to view our products, if there might be some products interest you, do not hesitate to contact with us. Thank you for your time. Next page : Where can I find low MOQ jeans factory?